COMSTOCK PARK, MI - Tigers pitchers and catchers report to Lakeland in 23 days, which means baseball and warmer temperatures are getting close! When you think of baseball in West Michigan, you think of summers at Fifth Third Ballpark and the smell of hot dogs, peanuts, and the wide variety of food selections. 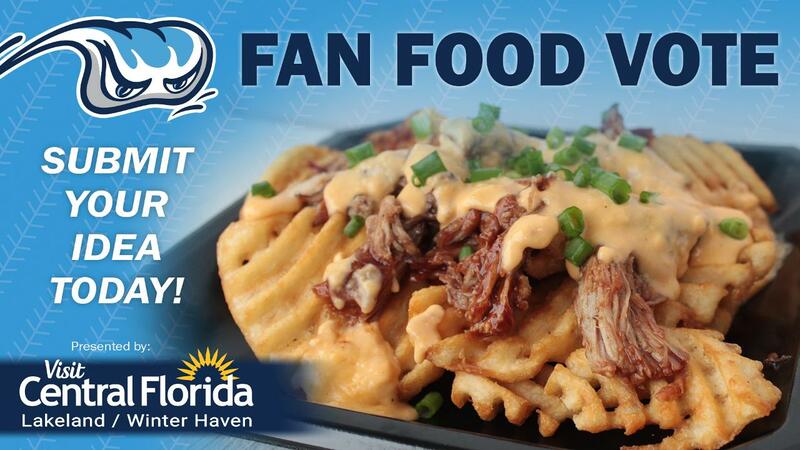 To help us add to that variety, the annual Whitecaps Fan Food Submission presented by Visit Central Florida is now up and running! We're asking fans to submit their ideas for what new food item they would like to have at Fifth Third Ballpark and thanks to Visit Central Florida the winning submission will receive a suite for one night! This is the tenth consecutive year that a food item submitted by fans will be on the menu. Past winners include Ballpark Digest's "Best New Food Item" for 2017, Beercheese Poutine (a combination of pulled pork, waffle fries, beer cheese and bbq sauce), the Baco, Hot-To-Tot, and last year's winner, Mt Wing-Suvious, a mixture of mac 'n cheese, beer cheese and buffalo chicken filling the center of a tower of onion rings, submitted by Grand Ledge native, John King. "The past couple years have been all about flavor, compared to when this first started which was about the weird, wacky, and unique," said Whitecaps Vice President Jim Jarecki. "The submissions from our fans always make this a fun and exciting process." Submissions will be taken through Friday, February 1st. They can be made via e-mail at playball@whitecapsbaseball.com or through this link, which will also be available on the Whitecaps website, Facebook page, Twitter account and Instagram account. All submissions should be accompanied by a complete description and a picture, if possible. The ideas will then be pared down, and starting Tuesday, February 26th fans will be able to vote for their choice for the new 2019 concessions item. Voting will take place on the Whitecaps website, www.whitecapsbaseball.com. The winning entry will be on the menu for all fans to enjoy. The Whitecaps open their 26th season on Saturday, April 6 against the South Bend Cubs at 4:00 pm. Season and group tickets are now on sale; individual tickets will go on sale in February. Complete ticket information, including season and group ticket prices and perks, is available at www.whitecapsbaseball.com.